Kelly Clarkson was noticeably absent from the Grammys tonight, but that doesn’t mean she wasn’t watching! 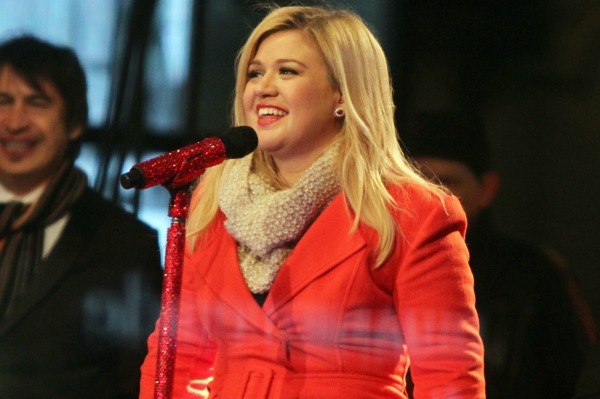 She’s a pregnant, married lady now, but that doesn’t mean Kelly Clarkson doesn’t know how to bring the heat! The singer couldn’t make it to the Grammy Awards tonight, but she tweeted her thoughts about the ceremony — and she said Beyoncé has nothing on her hot moves! Clarkson also threw props at Katy Perry, Bruno Mars, Kacey Musgraves and the group performance by country legends Willie Nelson, Kris Kristofferson, Merle Haggard and Blake Shelton, and Shane McAnally. Clarkson and hubby Brandon Blackstock, who wed in October, recently announced they are expecting a baby girl. Tons of celebs missing from the Grammy Awards: Where were they?